Be sure to join us today at 7pm UK time as I share my live webinar — Grow Your Business Today. Click here for more details. Now — today’s topic. 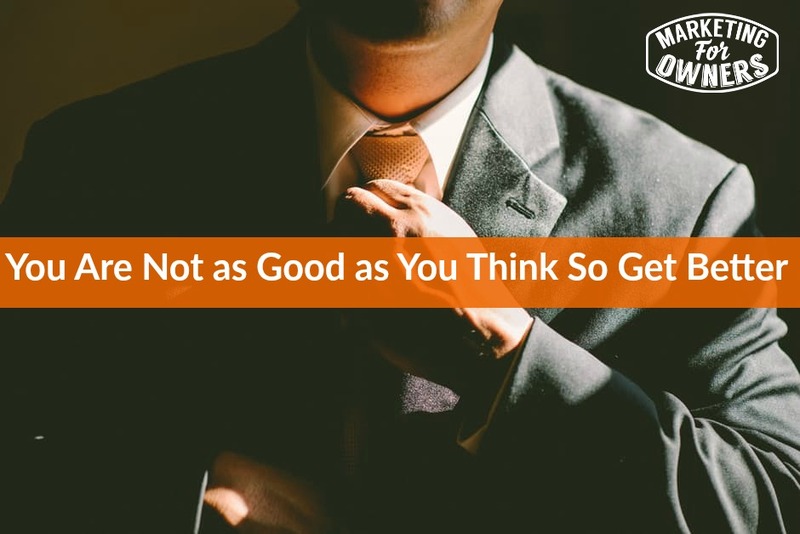 You are not as good as you think you are and this could contain many different subjects. This even includes me. Yes — yours truly. I never thought I was that good anyway, but the way I get better is by continuing to learn every single day. I should never stop learning. Things change quickly and my competitors are learning, so why should I let them get the edge? If you don’t stay on top of this, then you won’t know until something happens and you go under, so make sure you are learning and changing every day. Your competitors are continuing to learn, so you need to as well. If you are the worlds best grave digger, or the world’s greatest carpenter or accountant, chances are you are not. You may think you are but you are not. If you don’t try and get better, you are standing still. Technically you are going backwards and getting worse. Experience means you are getting better. There are tons resources like good old fashioned libraries, where there are books that have been around for years that you can learn from. I get very frustrated when people stop learning and growing. You don’t have to be in business to make this work either. It can be applied to every single area of your life. Who says you have to apply for a job and then you just do what you are told to do? You can apply yourself and put yourself out there. That is how you grow yourself and make your way up the company ladder. There are other places you can learn — YouTube, podcasts, the internet — just don’t continually learn the things you know before. Keep up to date and see what others are doing and apply that to your business. Get better. Show the world how good you are. Tomorrow we have Michael Hauge on interview for our expert series. He is simply fantastic and will be teaching us about storytelling so be sure and tune in.